HUAWEI TAG-L22 FRP LOCK REMOVE & BYPASS WITHOUT TOOL. HUAWEI TAG-L22 FRP LOCK REMOVE REQURED FILE. 1# Download google account manager 5xxx. 2# Download Quickshortcutmaker v2.4.1 apk. 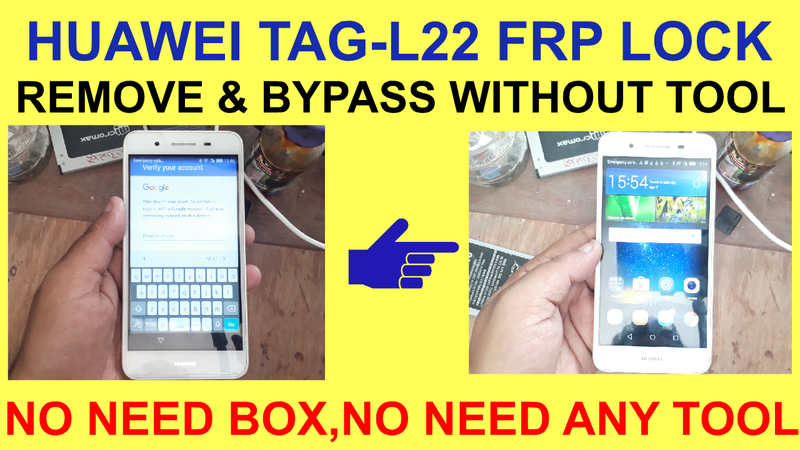 HUAWEI TAG-L22 FRP LOCK REMOVE METHOD. 1# Connect your phone wifi. 5# Types any words and save. 6# Share options show.Open it. 9# What you can do with you non-google addrace show. 10# Change how you see reply emails open. 14# Download google account manager 5xxx. 15# Download Quickshortcutmaker v2.4.1 apk. 16# Now logine your new gmail. 17# Few min weat gmail new add. 18# Now rebot your phone. 20# Open account & remove gmail id. 21# Now your phone frp lock remove complite.